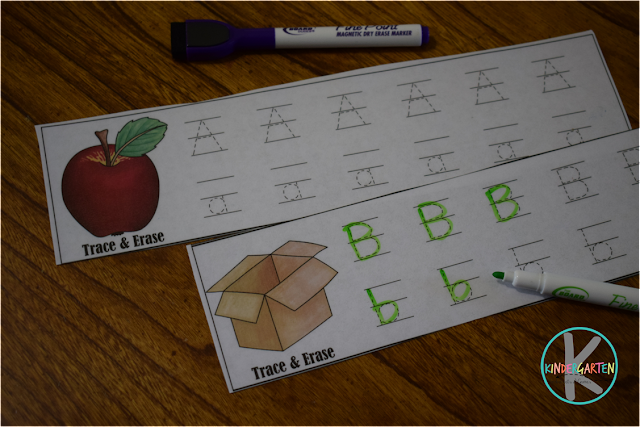 Kids will have fun while they practice writing their alphabet letters with these FREE Alphabet Trace and Erase. This provides fun, easy practice writing both uppercase and lowercase letters as well as the ability to erase and do it all over again. 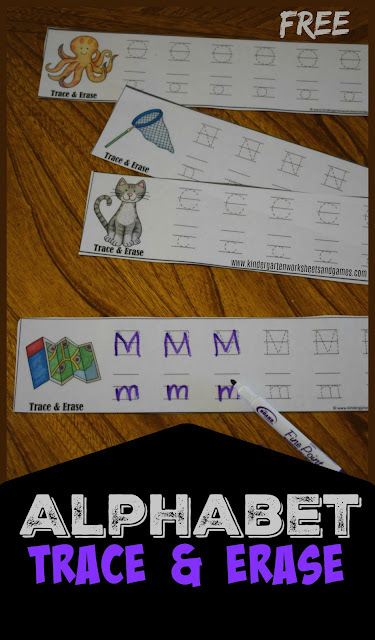 Each strip has a picture that start with the letter on the mini alphabet worksheets. Kids will practice writing their letters, both upper case letters and lower case letters. When they finish just erase and reuse. These are great for literacy centers, summer learning, after school practice, and homeschoolers too.